Although it is just a small island on the Fujian coast, kinmen has a unique geographical location and historical position, which it has occupied from the Sung, Ming, and Ching Dynasties, It has played major roles in the unfolding of Chinese history; for this, the island is considered a strategic location. Since the beginning of the new millennium, direct links have been initiated between Xiamen and Kinmen, highlighting business opportunities in the tourism area. 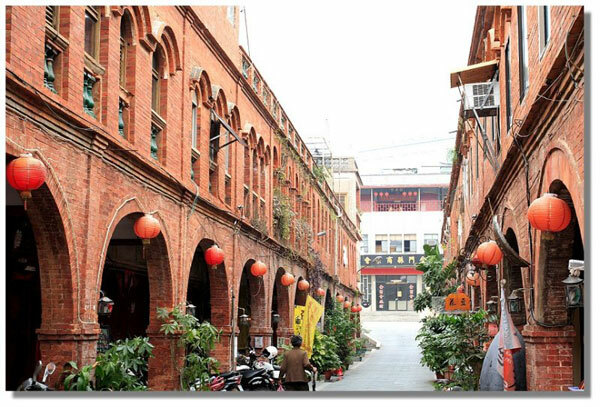 This is introduction to Kinmen tourism is to provide visitors with first hand information on the prevailing traditions and culture as well as the natural, ecological treasures this island has to offer. ◎ Ku Tso: Kinmen’s traditional residences are called Kinmen Ku Tso; they are characterized by “swallow tail” or horseback shapes ridges. usually categorized into 1 wing, 2 wings,3wings,as well as “protected dragon”” jutting” and “facing “in terms of building styles. ◎ Wind Lion God: Long-term thievery, political chaos, and civil wars have consumed most of the island’s forest resources. In the autumn and winter, strong northeast monsoon wind lead to ruined agricultural field and residences, making the island almost uninhabitable. people call on the Wind Lion God to protect them from the evil spirits. ◎Kinmen residents are fond of calling their temples”palace”or “palace temple” most of island’s residents believe in Buddhism, or a combination of Confucianism, and Taoism. These temple have regular activities for celebrations and worship; the largest of these events are the “Welcoming the Justice from Hades,” celebrated every April 21 on the lunar calendar, as well as the birthday of goddess Matzu on March 23,also on the lunar calendar. ◎ Architectural Relics: Many architectural relics can be seen all over Kinmen Island. Some of them are ancestral shrines or temples, while others are private residences mausoleums, pillars honoring filial piety and devotion. Currently, there are thirty-three such relics under national preservation; the majority of them are located in Taipei City and Tainan City. There are daily flights from Taipei. Price varies with airlines, usually between NTD1800 and NTD2300. Check the times before hand. In Kinmen, hire cars or motorbikes for traveling around. The hotels are very basic but clean and comfortable. Recently the local government has started “home stays” in traditional houses. Contact the Tourist Information Center for more details. Getting to Kinmen from Xiamen is made extremely simple. The whole traveling, immigration process and time taken to travel are short and simple. There are 30 countries which are exempted from visa applications. Immigration for these 30 countries’ passport holders is easy; however, make sure you have a valid visa to return to China. Both sides of the immigration are super efficient. There is no waiting time even though the ferry with the capacity of 300 – 400 is usually packed these days. There are two places you can exit Xiamen, heading for Kinmen these days, one is from Wutong Passengers Port in Wuyuan Bay and Xiamen International Ferry Terminal in Dongdu both terminals’ departing ferries end up at Kinmen Ferry Terminal in Taiwan.